Review of The Globe’s Much Ado About Nothing,directed by Matthew Dunster. A riot of colour, set during the Mexican Revolutionary War in 1915. It’s always a favourite play, here in a radical interpretation. 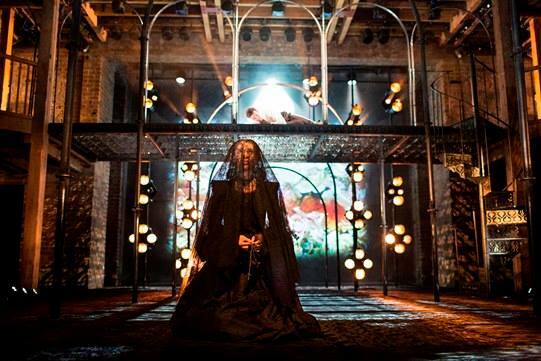 Review of Imogen (Shakespeare’s Cymbeline Renamed and Reclaimed) (FOLLOW LINK) at The Globe Theatre. Perhaps the most controversial production of 2016 with a setting of drug gangs in East London. Exhilarating theatre. But is it Shakespeare‘s Globe as we know it? 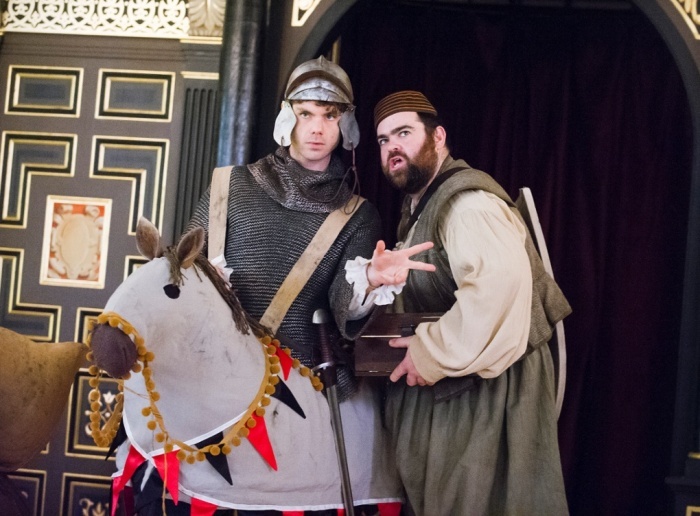 Review of the revived production of The Knight of The Burning Pestle at Sam Wanamaker’s Playhouse at the Globe. This play, written in 1607, is a seminal work in English comedy, and this production is so good I have had to amend my “Best of 2014” list from two weeks ago to include it. 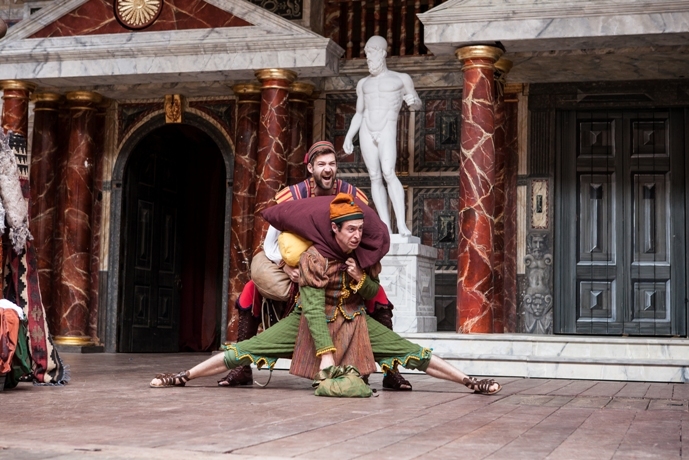 Review of The Comedy of Errors at Shakespeare’s Globe, 2014, directed by Blanche McIntyre. See link.